A few days ago, the kids and I went out for a walk. 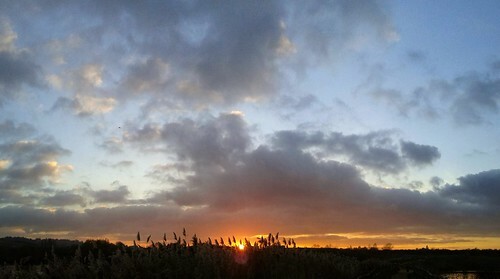 This is a picture that I took made up of an auto panorama made by google when my shots were uploaded. On May 25th, we went to Rochester. 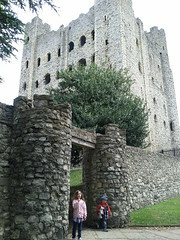 Our original goal was to go to Rochester Castle. We made it and had an excellent time. 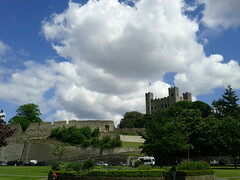 The castle grounds are free…you just have to pay if you want to visit the keep. Of course, if you are an English Heritage member, entrance is free. The keep is really well preserved for being built in the 1100s! Here are a few pictures and our flickr set has all of the pictures. 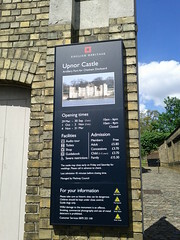 As we were leaving, we saw a sign for Upnor Castle and decided to go. I’m glad we went because I learnt a great deal about English History. 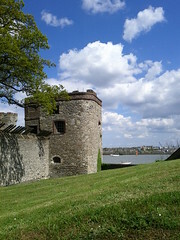 Turns out that the English kept their navy in this estuary that was guarded by Upnor Castle. Then, in 1666 (I think) they had a big battle with the Dutch where numerous ships were lost. Of course, they don’t keep their navy here any longer (the ships are too big) but it was a neat place to see (and has made my I’d like to go back to) list. Here’s a few pictures from it, and as always see this set on flickr for more. 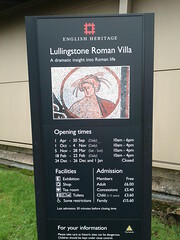 This past weekend, Cyndi, the kids, and I went to Lullingstone Roman Villa. We didn’t know anything about it other than it was a place we could use our English Heritage membership for free entry and it was close. I didn’t know what to expect, but we went. You can check out all of the pictures on our flickr set here. I liked it. I learned a lot about Romans in Britain. They had hands-on things for the kids to do. A plus. It wasn’t at all what I expected. I thought it would be something like a ruined castle…instead, it was a single building of just the foundation of the roman villa. If you are an English Heritage member, I would highly recommend you go. If you aren’t, I don’t know that the price of admission is worth it. 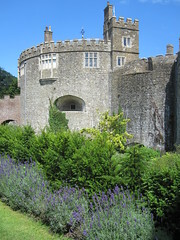 In July 2012, we took an afternoon and went to Walmer Castle. As English Heritage Members, we were able to go for free–well, once we paid our membership that is. Walmer Castle is famous for several reasons; however, in my mind, the most famous thing is that the Duke of Wellington (the same guy who invented Wellington Boots). The castle itself was really well designed and looked neat. While it wasn’t classic castle, it was well preserved. 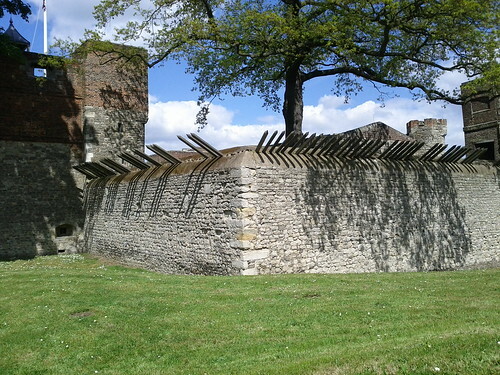 It was shorter–more fort-like–but had what used to be a moat. It also had incredible gardens. The gardens were wonderful to walk through. The flowers were very pretty, and the greenery was–well–green. If you want to see the pictures we took, have a look at our flickr set for Walmer Castle. 2 days ago, Cyndi and I decided that we were tired of sitting home during the Christmas break. We took a look at English Heritage places–as members, we don’t have to pay an admission fee–and checked out Traveloge for cheap hotels. 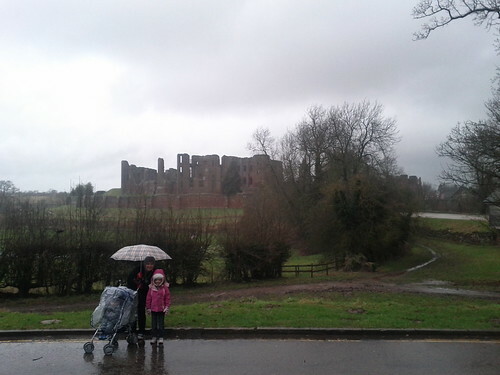 We decided we’d visit Kenilworth Castle near Birmingham, England. Here’s one picture, click the read more link below to see more pictures and read more about our trip.